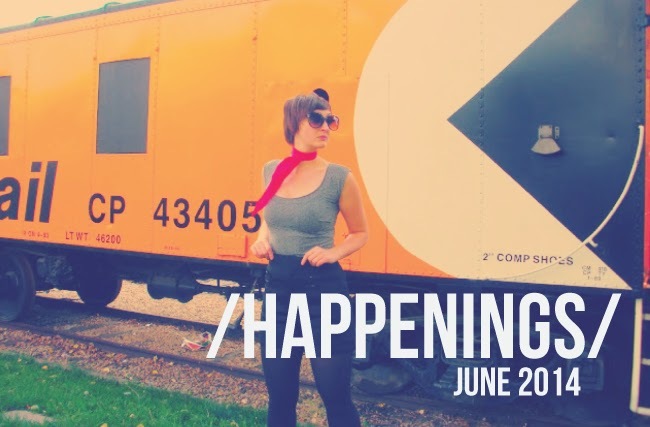 June is looking like a quiet month on the fashion front, but there are still tons of awesome local arts and music events to get your party on. Though his weepy voice and intense lyrics can be a total bummer sometimes, Chad VanGaalen will always be one of my go-to's for long road trips, or rainy afternoons with a lover reading comic books and drinking coffee. The Soft Airplane album, especially this song, gets a lot of play in these ears. Bonus: He's from Calgary, so that's pretty cool. Interesting folks talk about interesting things! This edition of Pecha Kucha features talks on everything from beekeeping to professional wrestling. I'm mostly excited to hear from David Rauch on his pop-up public pianos project. The Mercer Building (where the DMD Headquarters is btw) is hosting an all-floors shindig with food trucks, live music, a pop-up market, and dance party. My guess is the 10:30 pm "end time" is a loose suggestion. You best not be missing this one. Lad Mags, Switches, Jom Comyn! YA! A new online publication is launching in E-town and this little yogi is pretty stoked! Join us for a sweaty Saatva session to celebrate! The contemporary art gallery brings back its mega popular weekly summer shindig, and this is the first of the season! Expect cold Alley Kats, fine noshings, music, art and friendly folks, all in the great artdoors.